Raye's Mustard operates the last remaining traditional stone-ground mustard mill in North America. 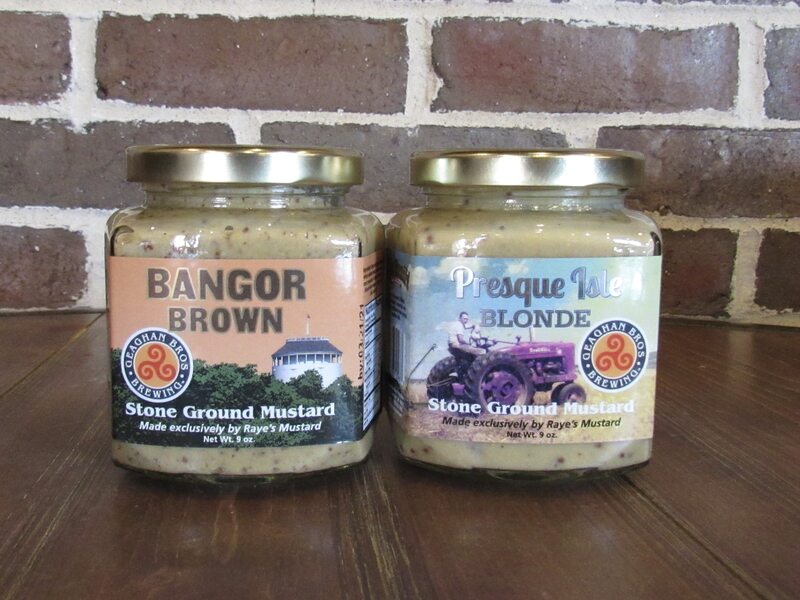 Two of Maine’s iconic family owned businesses have come together for a marriage of mustard. The Geaghan family of Bangor’s 44-year-old Geaghan’s Pub and 119-year-old Raye’s Mustard, a fourth generation family business based in Eastport, started conversations last year about using Geaghan Brothers Brewing brews for the next wave of Raye’s Maine beer-infused mustards.